Well it was 60 degrees the other day, so obviously today, it dipped below freezing. Good thing I walk to school everyday across Government Center, Boston’s wind tunnel. Good, good thing. 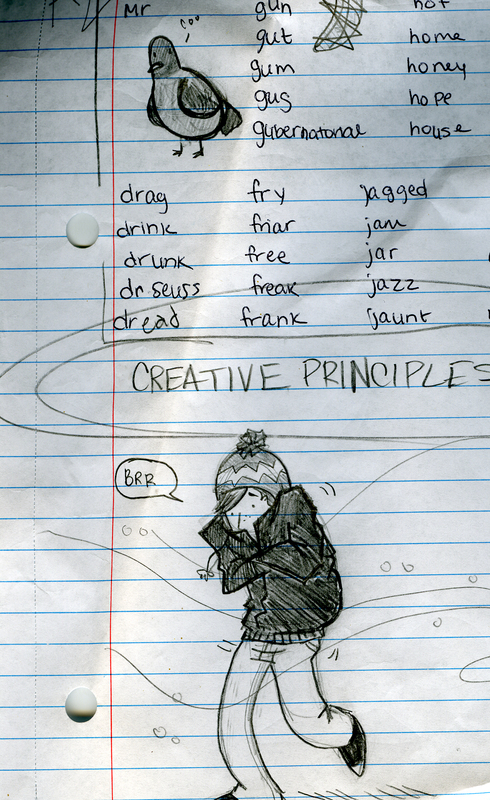 Notes from class today. FUhghah it’s been a while, but I had a flu, followed up quickly by hell week, in which all of my marketing classes have stuff due ALL OF A SUDDEN. As if we were supposed to have been learning something all along! I have a whole creative presentation, storyboards and all, which I may post later. 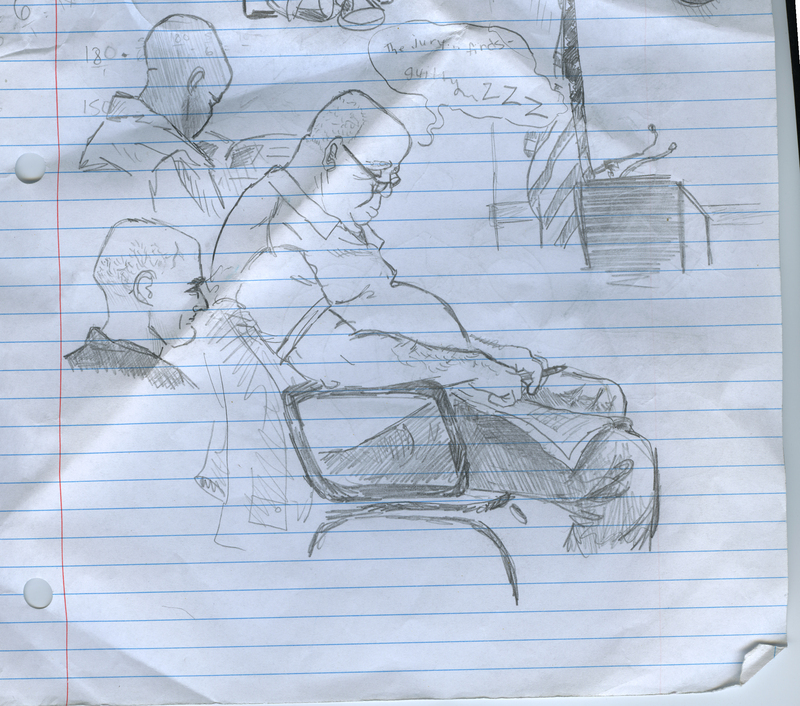 In the meantime, I also served jury duty. It was a boring ol’ morning with some minor Law & Order drama, so I managed to get some sketching done. Lotta baldies. I also beat Professor Layton’s Village while peoples’ lives were affected by jurors’ decisions.